I do think I’ve run out of things to say about not posting new recipes recently, so why don’t I just cut to the chase. My new taco cart adventure is successful, YAY! Here is a post from FB from one of my new (and very excited) customers, lol. I figure it’s OK to post it to the world since this Facebook page is a public page. 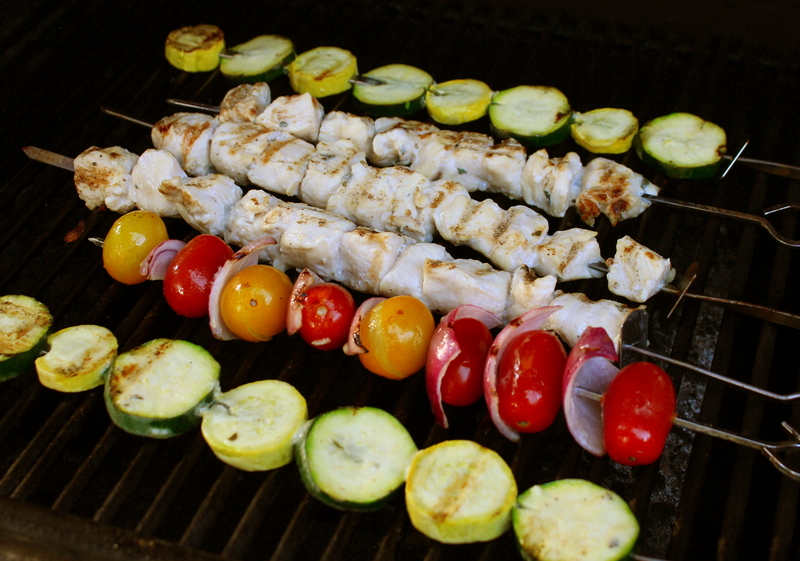 Either way, this was such a fantastic summer meal to enjoy on our deck. I hope you enjoy it too. 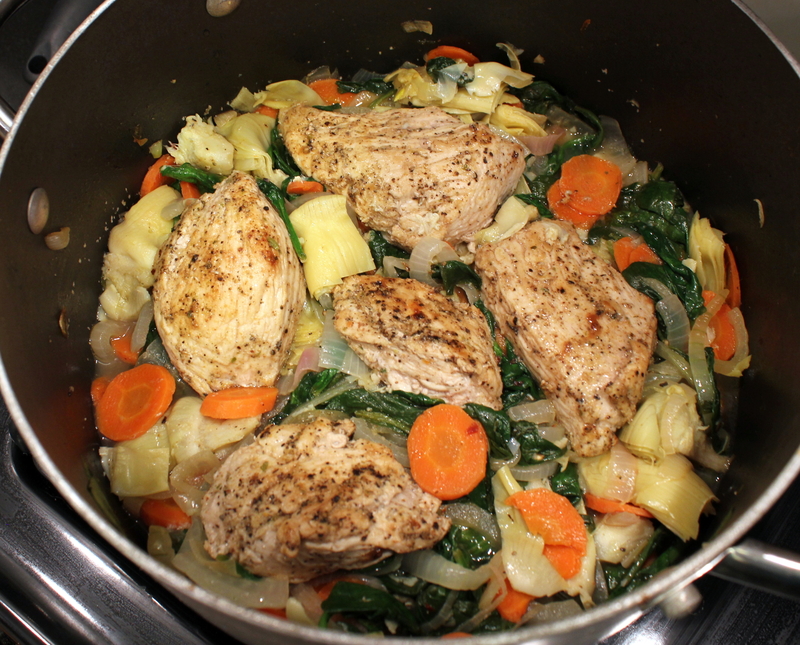 This recipe adapts handily to any number of mouths you are feeding, adjust accordingly. 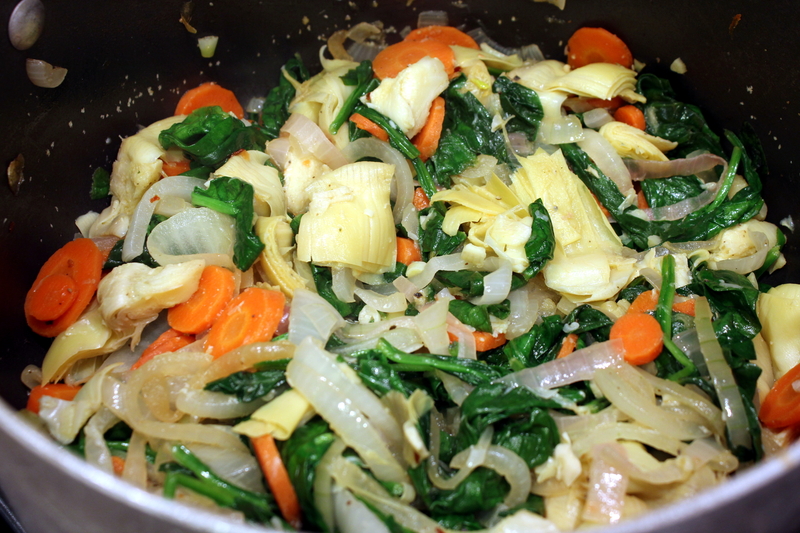 The one below is for two and just base the amount of vegetables on how hungry you are (or how big your foil sheets are). 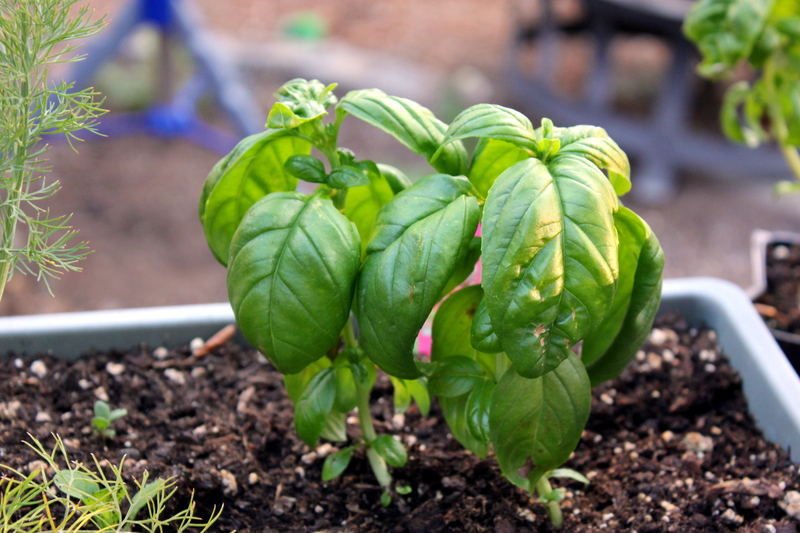 If you can, use the bounty from your vegetable garden or head to the farmer’s market for the veggies! 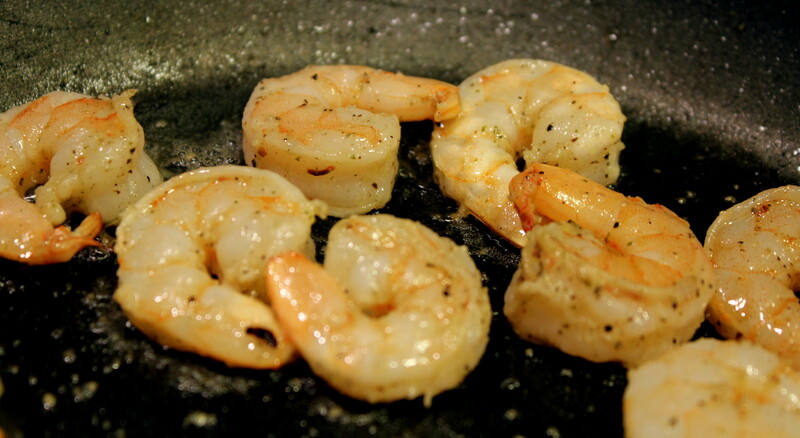 Preheat the grill (or oven) to 450 degrees. 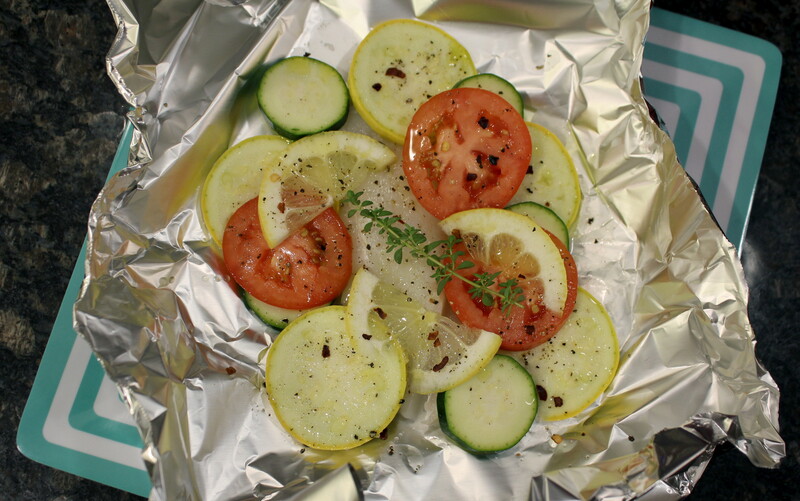 Lay out sheets of heavy-duty aluminum foil for each person. Season the fish with salt and pepper and place a piece of fish on each one. Arrange the vegetables around the fish, top with lemon slices, then sprinkle with red chile flakes and perhaps a bit more pepper if you like. 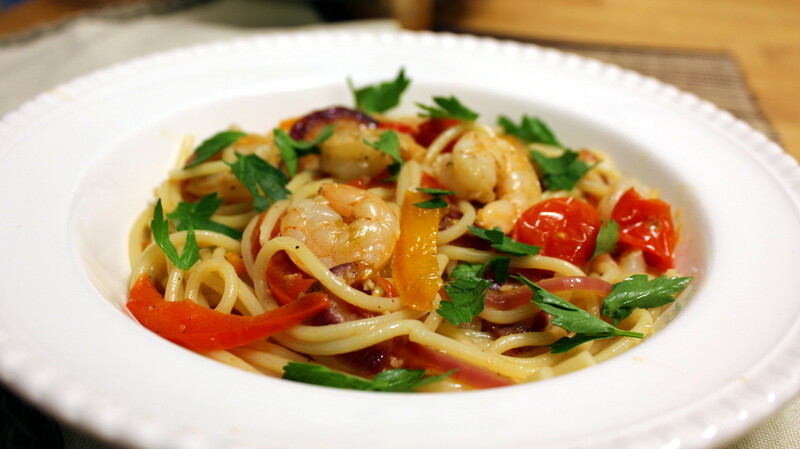 Drizzle a bit of olive oil over all, and splash a bit of wine over it too. Top each packet with a fresh lemon thyme sprig. Wrap the foil around everything, leaving some head space for steaming, and seal completely. 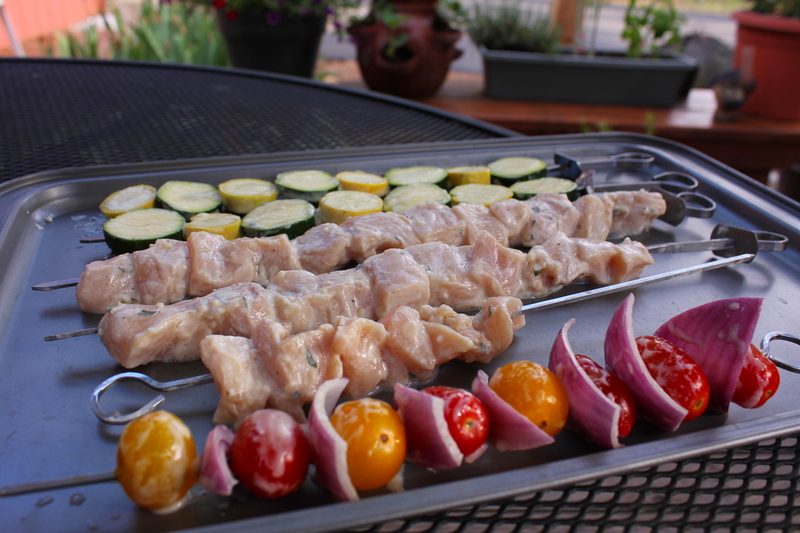 Set packets on the preheated grill (or in oven) and cook for 8 to 10 minutes, depending on thickness of fish. Remove and CAREFULLY open (it will be steamy hot) to check fish. If done, serve immediately or re-cover and cook a tad more. I chose to also serve some mashed potatoes, but pasta or rice would be great too. 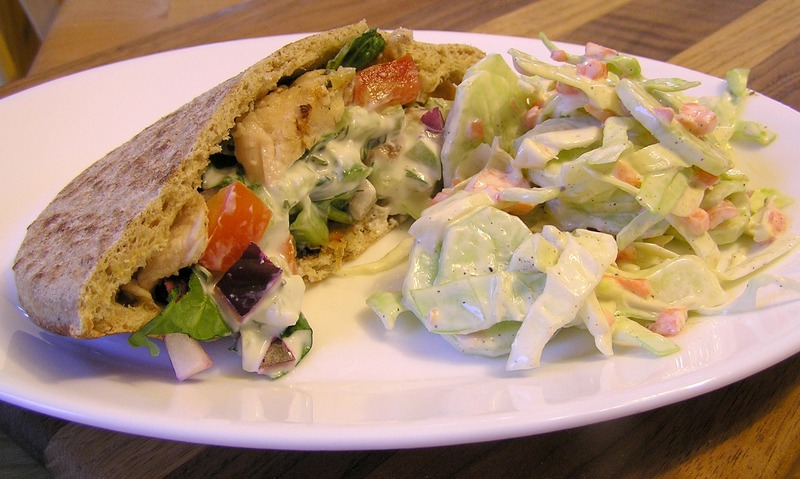 When it’s hot outside, you’re tired of grilling, but want something quick and easy, these Greek Rotisserie Chicken Wraps are just the ticket! My family eats only half a rotisserie chicken for dinner, and when I was faced with the leftover half the next day I wracked my brain what to do with it. Then I remembered I had a Greek grilled chicken pocket bread recipe that would work, and I wouldn’t even have to grill the chicken! 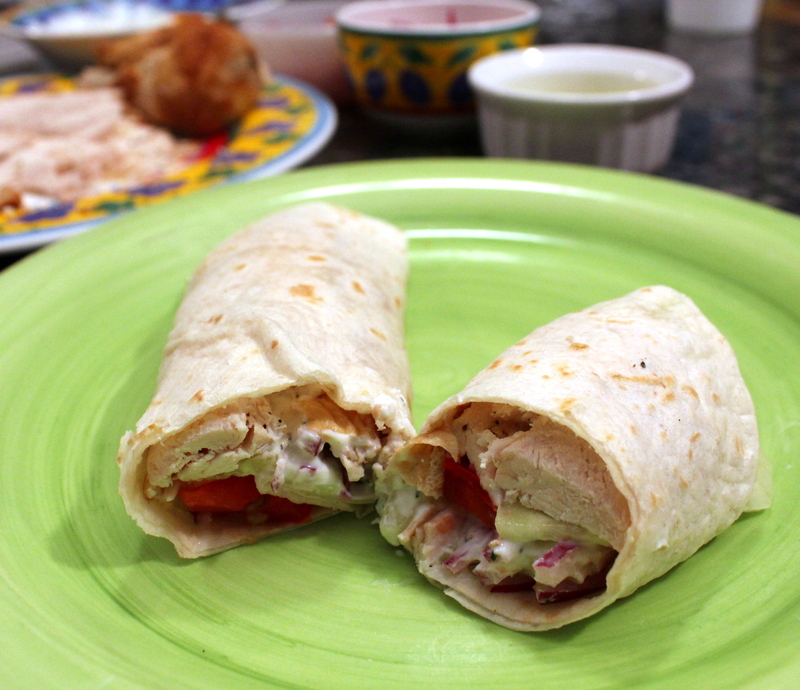 We always have flour tortillas on hand, so chicken wraps it would be! 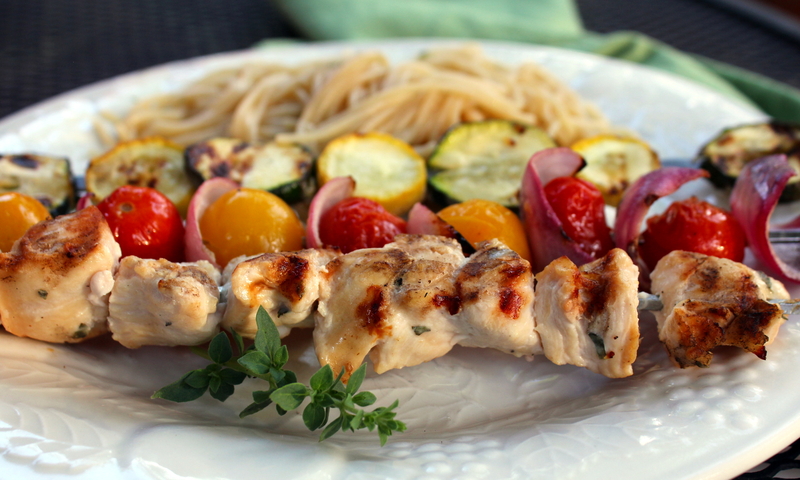 This was a wonderful light dinner to eat on our back deck on a warm week-day night. I hope you enjoy these as much as we did! 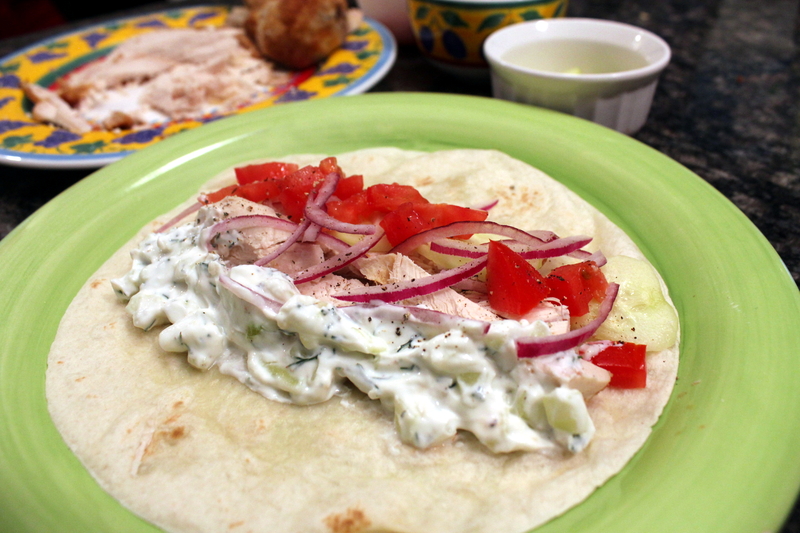 Prepare the tzatziki by blending all the ingredients in a bowl. Set aside or refrigerate if not using right away. Slice and dice the vegetables for the wraps and place in separate bowls/containers. Dry-heat the tortillas in a skillet for about 30-seconds each side to make them more pliable. 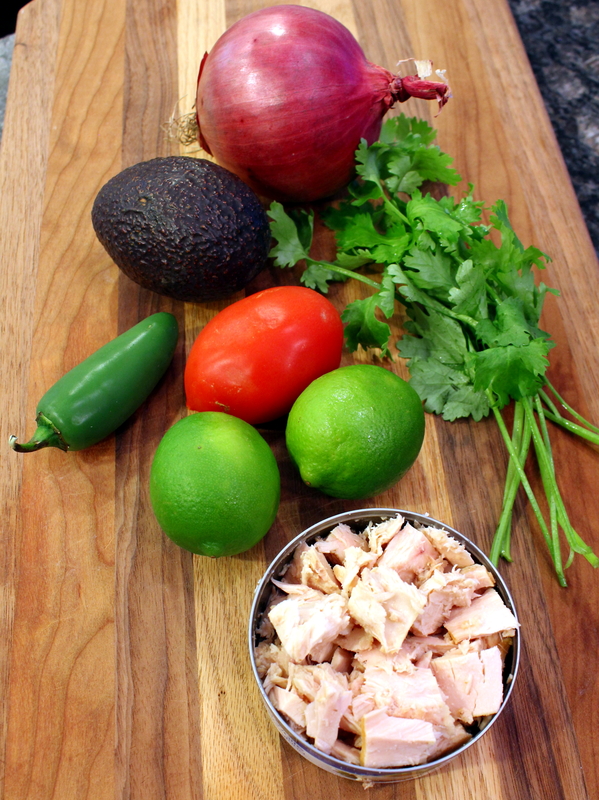 Place tortilla on a plate, add the wrap ingredients to taste, then tightly roll up. Easy Peasy! 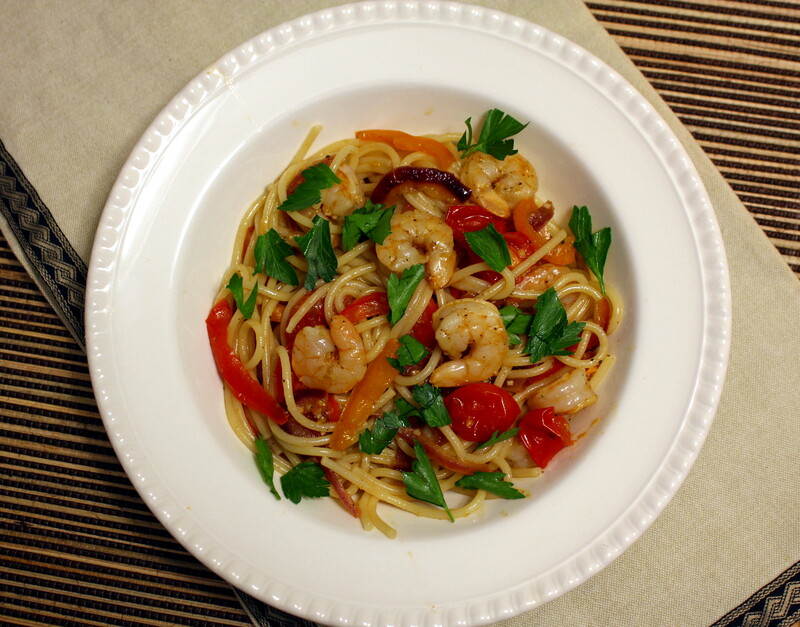 I planned on making this for my Saturday lunch, but all sorts of errands got in the way. After a two and a half hour shopping binge trip at three stores, it was time to pick up my 16-year-old daughter from her 4-hour SkidCar course at noon (which I begrudgingly got up at 7:30 am on a weekend to take her to it). 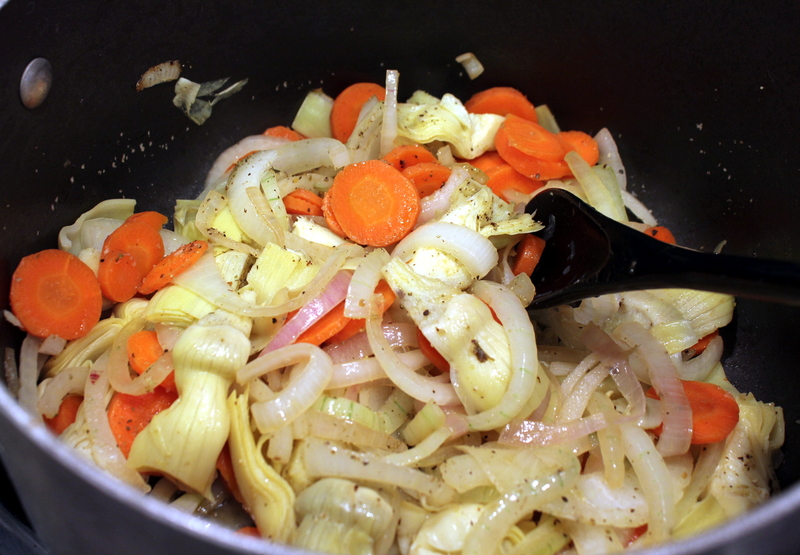 I had bought all the ingredients for this recipe, in addition to restocking our refrigerator with staples. Our freezer in the fridge went KAPUT a couple of weeks ago, and then the refrigerator side slowly went downhill until it barely kept milk cold enough to drink. We’d been “cooler camping” at our house for the last few days until our new fridge arrived and had to toss out a bunch of stuff. Thank goodness we have a chest freezer in the garage, as I would have been heartbroken to lose the rest of our quarter cow we bought last fall. Nonetheless, after all that shopping I didn’t have time to make this, let alone get the groceries out of the car before I had to pick her up! So we stopped at a local fresh Mexican food joint on the way home and I had a taco and she had a burrito. 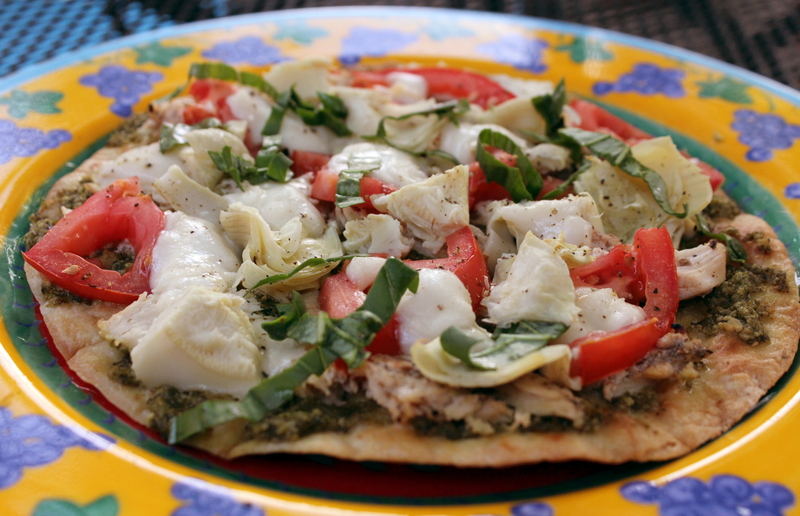 For dinner last night, I made my staple summer-time grilled tortilla pizza! I marinated then grilled the chicken, tossed the tortilla on the grill, added pesto, artichoke hearts, the chicken, mozzarella and fresh basil from my herb garden. I made this and other tortillas pizzas all last summer. If you want the recipes, click here —> Grilled Tortilla Pizzas. p.s. You are asking yourself, what is a SkidCar course? It’s an amazing driving course using a special car and hydraulics to teach someone how to drive on ice and snow (or how to get out of a skid on any surface), even if there is no snow on the ground! My daughter will get a 30% discount on insurance now, we checked with our company. Win-win, and I’ll feel more secure now when the snow flies again in the winter with her driving skills. I arrived about 5 minutes early and got to see my daughter go into several “skids” and safely recover from them! For information on that course (not available in all areas) click here —> SkidCar course). And yes, I made this great lunch today, finally. It was every bit as delicious as I expected it to be, and my husband said he really like it a lot! Now on to the recipe! 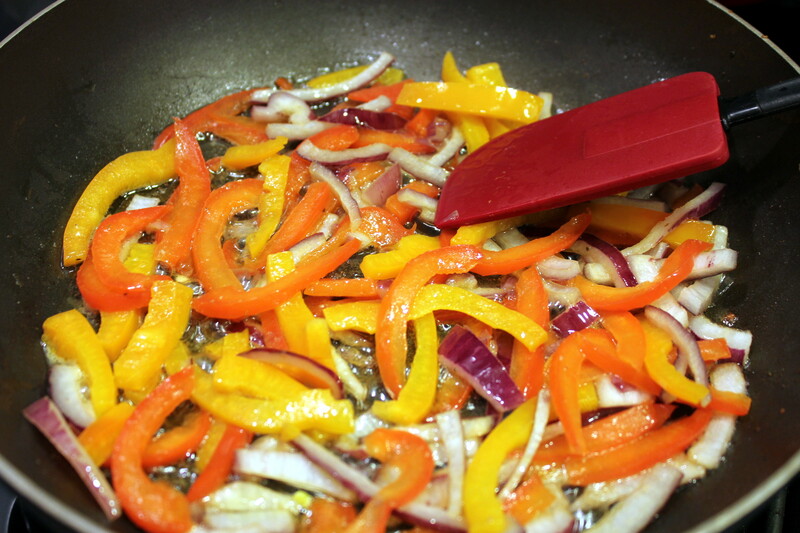 In a medium bowl, combine the red onion, lime juice, and olive oil. 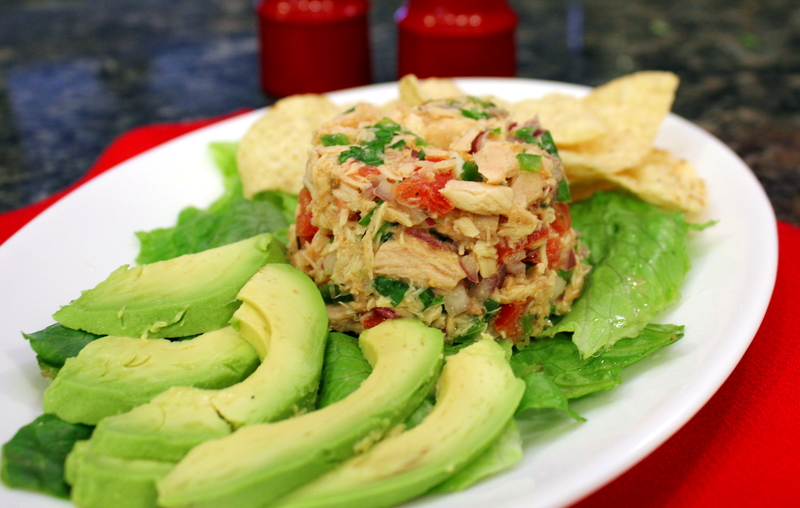 To that, add the tuna, cilantro, jalapeño, tomato, and Sriracha, if using. 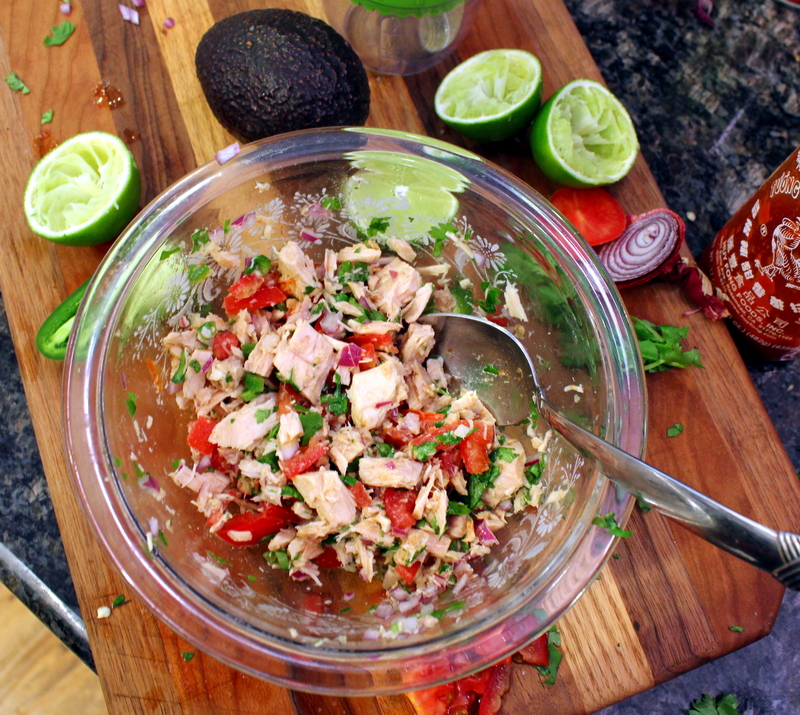 Taste and add salt, pepper, and more lime juice, if needed. Gosh I’m a messy cook! 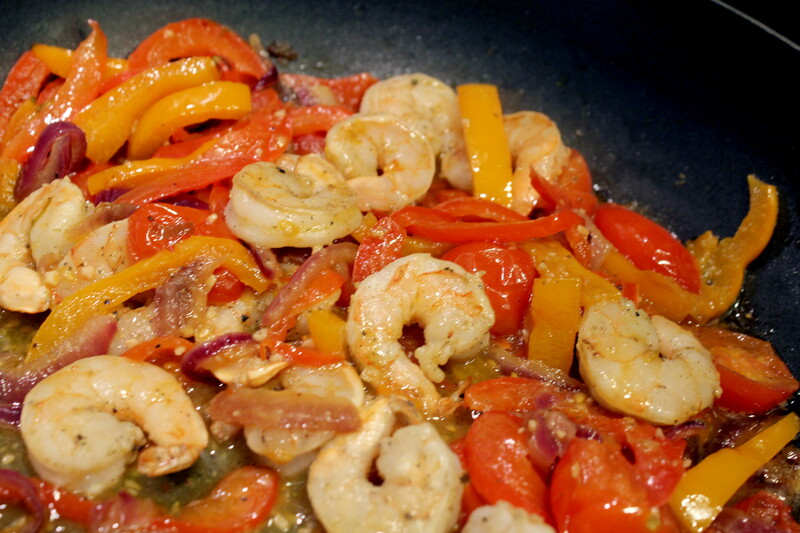 Cover and refrigerate for a minimum of 20 minutes. 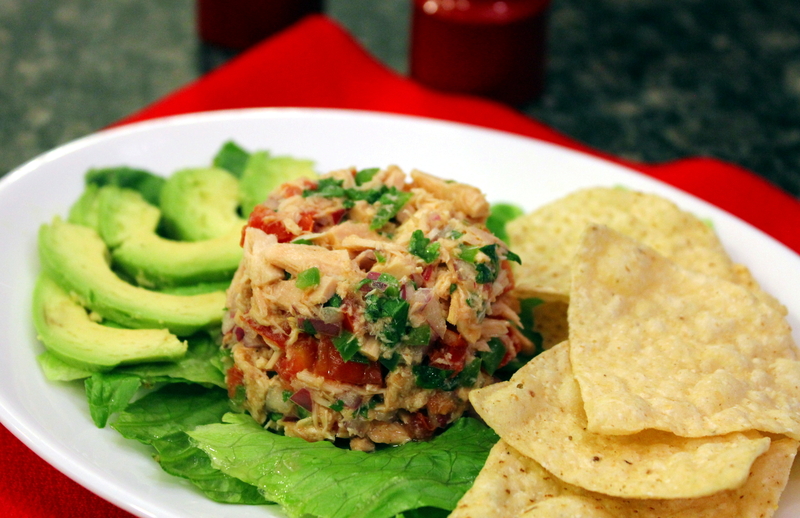 Serve on a bed of romaine lettuce leaves garnished with slices of avocado and tortilla chips. A wonderful light summer lunch salad! Oh my goodness, it’s been a week since my last post but this time you get a FOUR-FER! 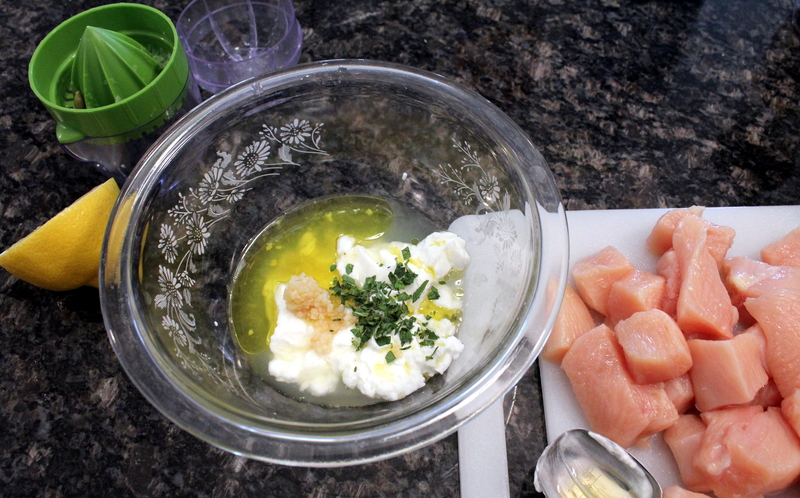 Yep, four recipes in this post. And, I think I may have found my new favorite sandwich! 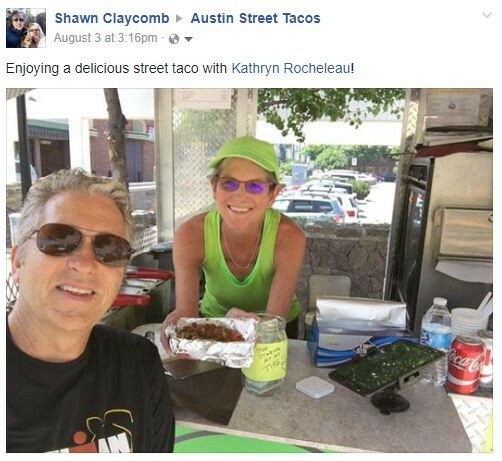 We had lunch two weekends ago at our annual downtown Summer Fest, where you get to peruse local artist’s crafts and maybe stop for a bite to at at local vendor’s food trucks. 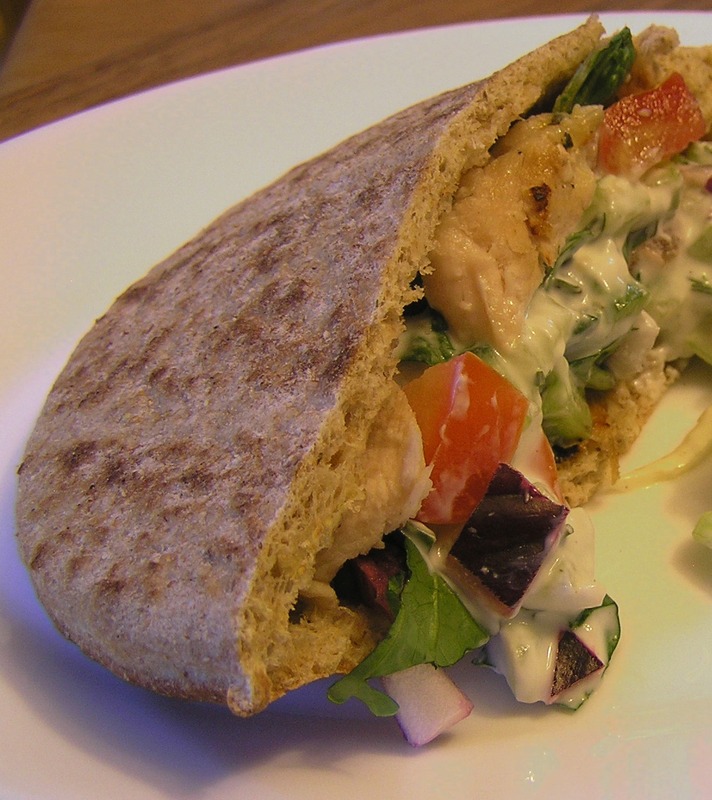 It was a really hot day so decided on a Mediterranean Chicken Wrap. It was quite delicious and figured I could make them myself. And I did! Except I didn’t use regular flatbread, I used flatbread pocket bread, which is like a Pita Pocket except now it’s been renamed to the fancier Flatbread Pocket Bread and made with whole grain wheat, but really, who cares, right? Because it all holds the fillings the same and it’s all good! So light, so refreshing. And the fam gave it two thumbs up. In fact, we liked it so much I made it again last night. Now that’s telling you how good this is. My hubby made a fabulous cole slaw to go with it last night too with the other half of the English cucumber, which rounded this meal out perfectly. The list of ingredients below looks long with four recipes and such, but it’s not, since you use most of the same ingredients in them. 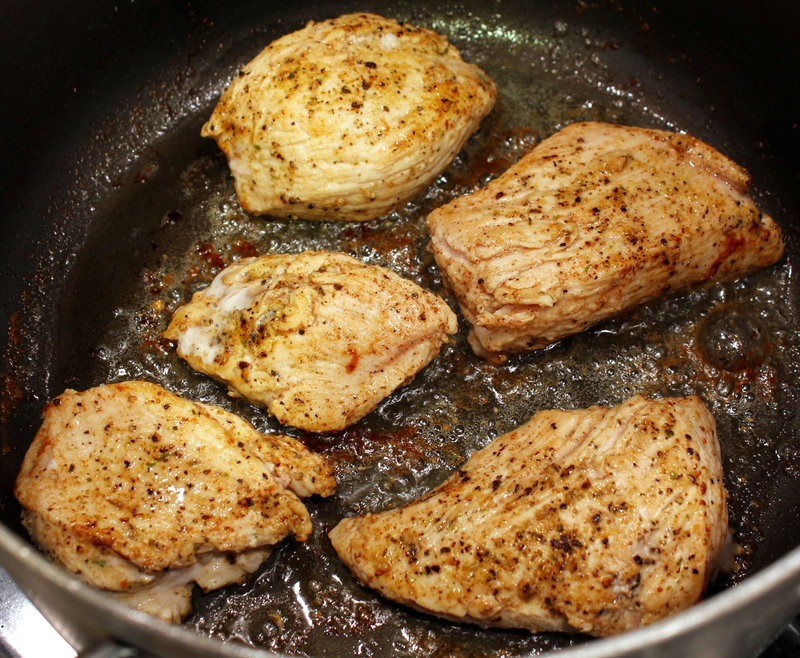 Mix together the marinade, then marinate the chicken in it for at least an hour or more. 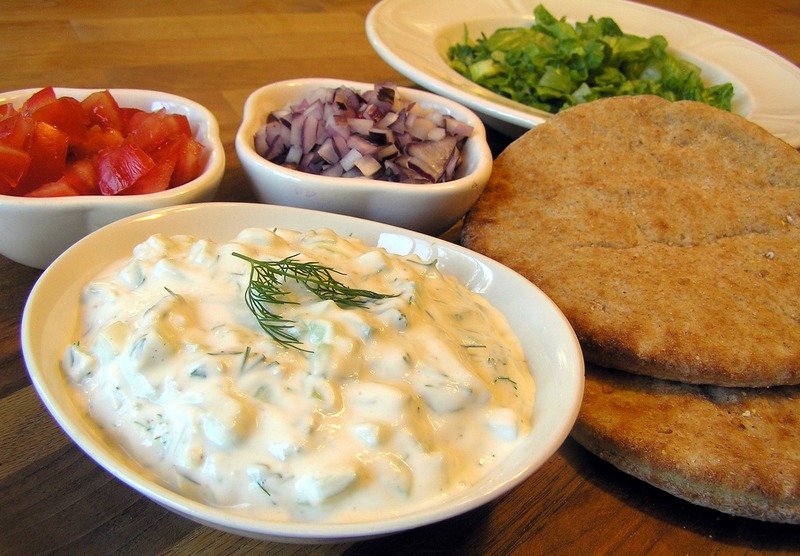 Meanwhile prepare the Tzatziki by mixing all those ingredients in a bowl and chill in the refrigerator. 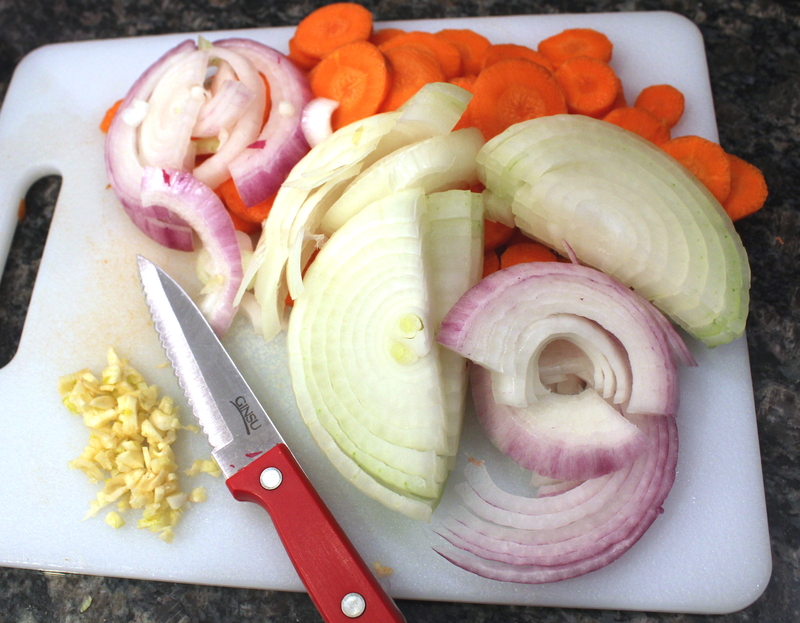 Now make the cole slaw by combining all those ingredients in a big bowl and also refrigerate. 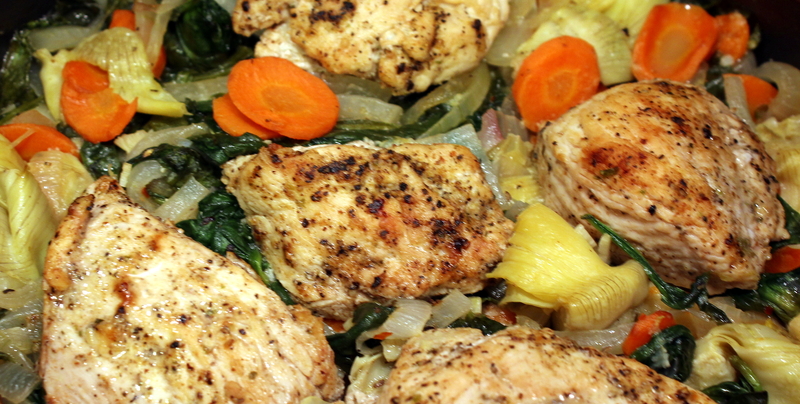 When ready to cook, grill the chicken over medium-high heat until done through, about 5 to 8 minutes per side. 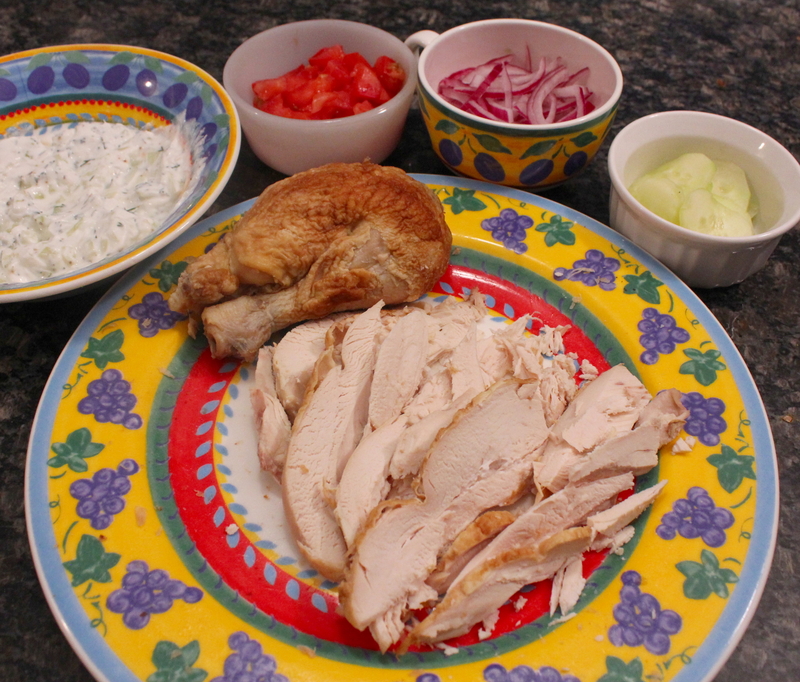 Chop up the chicken into bite size pieces, and lay out the sandwich condiments in bowls. Assemble the pocket sandwiches with the chicken and yummies, serve with the cole slaw and enjoy!